I am sure I have mentioned it a few times here and there, and I know my ‘real life’ friends are probably sick of hearing about it, but isn’t the price of groceries getting ridiculous? For instance, just the other day I went to pick up a few things and cilantro had jumped in price from 24 cents to 50 cents. Granted I know this is only a few cents but when everything has gone up in price by ‘just a few cents’ then that really adds up to ‘a few dollars’ on my overall grocery bill! Please tell me that you all have noticed the same thing and I am not just making these things up! Because I feel like I am forking over my *entire life’s savings* every time I go to the grocery store, I am even more determined than ever to be a savvy shopper and beat those darn grocery store prices! This means using coupons (like despite my desperate rants I was still able to get a recent $140 shopping bill down to $32 with coupons and sale prices), shopping the sale circulars and using my cooking smarts to come up with healthy, affordable meals. Eggs have been a staple, because even though yes they have gone up in price they are still an affordable protein! We enjoy eggs not only for breakfast, but lunch and dinner too! 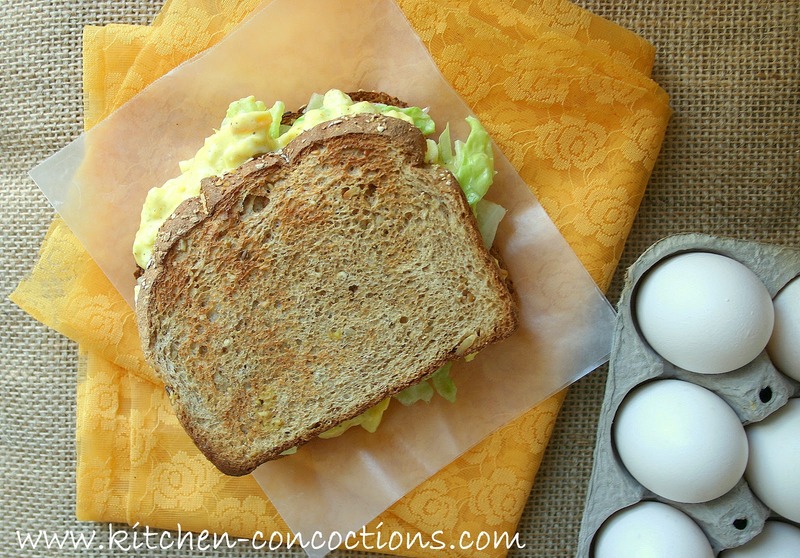 Egg salad is a quick and budget friendly meal. 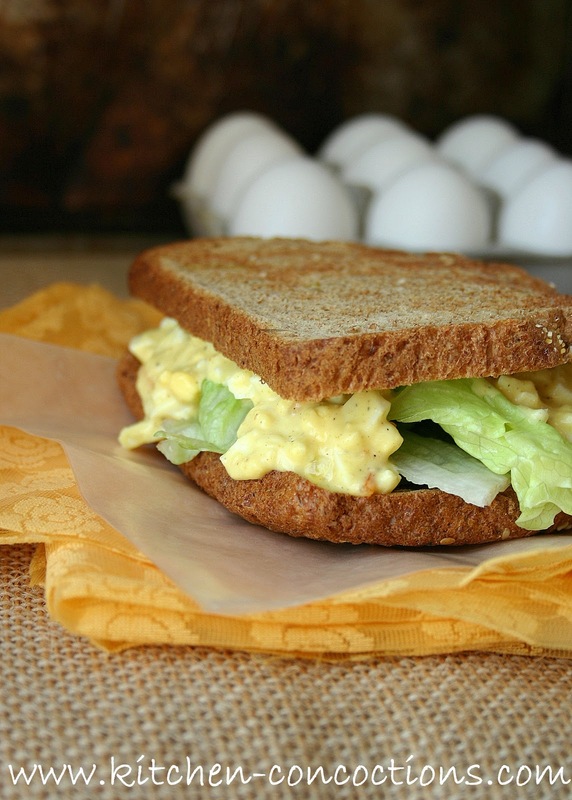 This Curried Egg Salad is a flavorful way to spice up traditional egg salad with pantry staples. At first glance the ingredient list, including curry powder and orange marmalade, sounds like an unusual combination for egg salad but somehow the creaminess of the mayo, paired with the complex flavor profiles of curry powder and a nice balance of sweetness from the orange marmalade, just works. So what are your savvy grocery store shopping tips? Set eggs in a single layer in a saucepan and cover with two inches of water. Bring the water to a full, rolling boil, and cover the saucepan. Turn off the stove and let eggs stand, covered, for 12 minutes. Rinse eggs in cold water, crack and peel away shells and chop cooked eggs. In a medium bowl, combine eggs and remaining ingredients, stirring until well mixed. Serve as desired on lettuce or bread. Oh this looks fabulous! And yes, I noticed that pesky increase in cilantro prices too! Grocery prices are constantly killing me each week! But I love how this egg salad is such a cheap and healthy meal! Love the curry powder in this too.